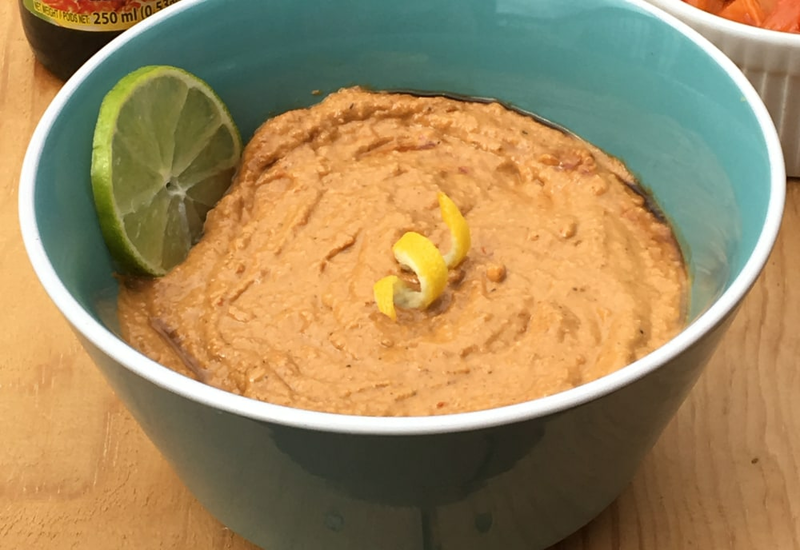 Skip the same old hummus at your next gathering and try this savory Lebanese dip! It's a tasty mixture of roasted red peppers, bread crumbs, walnuts and garlic, with just a hint of sweetness from pomegranate molasses. The dip is perfect spread on burgers and sandwiches, as an accompaniment to braised meat or rice dishes, and of course, served with crackers, pita chips or vegetable crudités. Canned roasted red peppers make prep super easy. Feel free to season the puréed dip with more lemon juice, red pepper flakes or salt and pepper to suit your tastes. You can substitute the bread crumbs with gluten-free bread crumbs for those with gluten sensitivities. Pomegranate molasses is a commonly used ingredient in Middle Eastern cuisine, and is known for its powerful anti-inflammatory and antioxidant effects. It can be found at Middle Eastern markets or online. Per Serving: 217 calories; 18g fat; 13.0g carbohydrates; 2g protein; 0mg cholesterol; 69mg sodium. Muhammara!!! This dip is so big in flavor it punches you in the face. I fried the bread crumbs, walnuts and garlic in the olive oil before processing, which is the traditional method and makes for a somewhat more nutty flavor. Great appetizer with grilled pita and some slices of feta. I found it super easy to make as I didn't need to be too concerned about exact measurements, which makes for a great "to-taste" cooking experience. This red pepper dip is an absolute favorite of mine! The breadcrumbs and walnuts give it a nice texture too. Perfect for eating with bread and crackers.